I decided recently that I really need to downsize my makeup bag as I carry around quite a lot of stuff that I hardly ever or never use, so what’s the point of carrying it around all the time?! I had also decided that I wanted to start storing my makeup brushes separately to protect them and try and keep them in better condition. 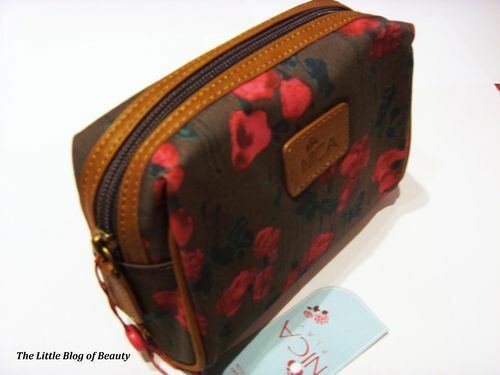 So I treated myself to a new smaller makeup bag in the January sales. 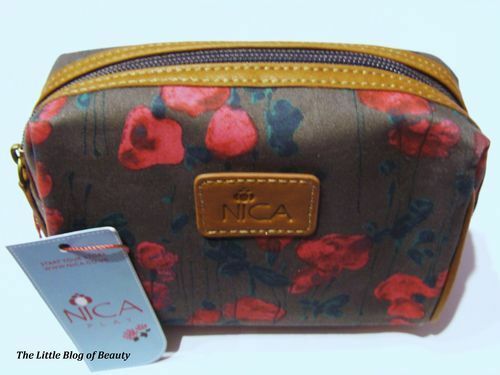 I chose a makeup bag from the Nica Play range (www.nica.co.uk) and am very pleased with it so wanted to share it with you all. 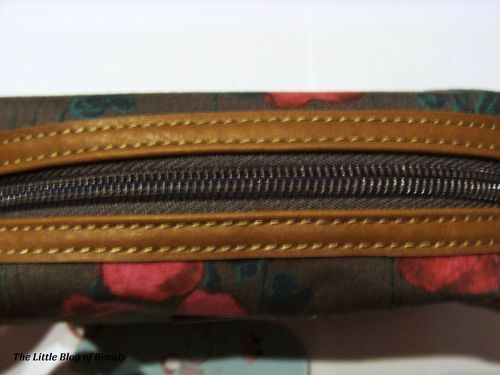 The bag is dark grey with a green and red tulip pattern and dark tan leather look trims. This was not particularly expensive but it looks like it should be. The fabric is good quality and feels sturdy and the stitching is tight and very neat, it doesn’t look like any of the stitching will begin to unravel over time. It’s not a large makeup bag (HWD: 11.5 x 15 x 6cm/4.5 x 6 x 2.2in) but would be large enough to hold your basics if this is all you want to carry. The inside of the bag is coated so those various spills of liquid or powder won’t stain or soak into the fabric. 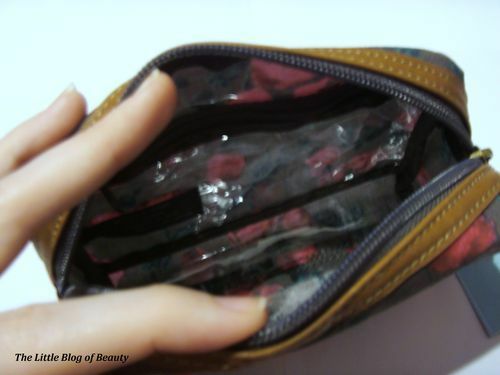 It also has an inside zipped pocket which runs most of the depth of the bag so it’s big enough to actually be able to store a few things in such as tweezers and nail scissors. Now I just need to decide what goodies to fill it with! 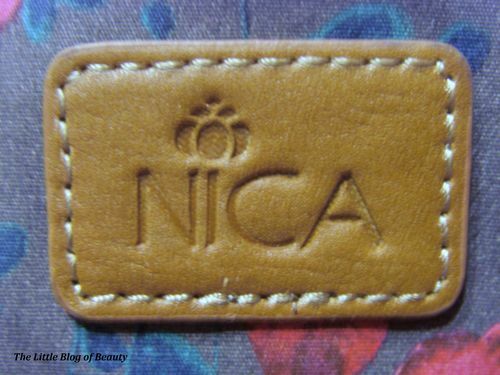 If you buy this direct from Nica it’s £20 but it’s currently in the Debenhams sale at £15.